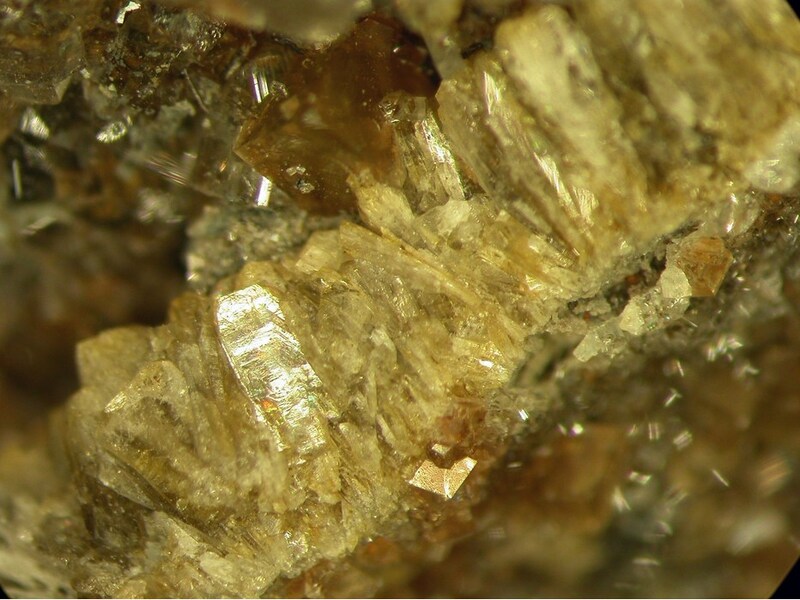 Arrojadite-(BaNa): Mineral information, data and localities. For Miguel Arrojado Lisbôa, Brazilian geologist and its correspondance to the Ba-Na-rich member of the arrojadite mineral group. The Na-, Ba-rich member of the arrojadite group. Ba is the principal element at the X5 (= A1) site and MFe* ≤ 0.5 apfu. Sodium is the unique element at the cation X1 (= Ca) site. Greenish or yellowish translucent masses, or rough crystals up to 4–5 cm in diameter hosted by albite. Liège, Liège, Belgium, sample number 20391. Vignola, P., Hatert, F., Baijot, M., Dal Bo, F., Andò, S., Bersani, D., Pavese, A., Risplendente, A., Vanini, F. (2016): Arrojadite-(BaNa), BaNa3(Na,Ca)Fe^2+13Al(PO4)11(PO3OH)(OH)2, A New Phosphate Mineral From the Luna Albite Pegmatite, Dorio Commune, Lecco Province, Italy. Canadian Mineralogist: 54: 1021-1032. Childrenite-Eosphorite Series 1 photo of Arrojadite-(BaNa) associated with Childrenite-Eosphorite Series on mindat.org. Feldspar Group 1 photo of Arrojadite-(BaNa) associated with Feldspar Group on mindat.org. Fluorapatite 1 photo of Arrojadite-(BaNa) associated with Fluorapatite on mindat.org. Vignola, P., Hatert, F., Baijot, M., Dal Bo, F., Andò , S., Bersani, D., Risplendente, A. and Vanini, F. (2015) Arrojadite-(BaNa), IMA 2014-071. CNMNC Newsletter No. 23, February 2015, page 55; Mineralogical Magazine, 79: 51-58. Vignola, P., Hatert, F., Baijot, M., Dal Bo, F., Andò , S., Bersani, D., Risplendente, A. and Vanini, F. (2015) Arrojadite-(BaNa), IMA 2014-071. CNMNC Newsletter No. 23, February 2015, page 55; Mineralogical Magazine, 79, 51-58.; Vignola, P., Hatert, F., Baijot, M., Dal Bo, F., Andò, S., Bersani, D., Pavese, A., Risplendente, A., Vanini, F. (2016): Arrojadite-(BaNa), BaNa3(Na,Ca)Fe^2+13Al(PO4)11(PO3OH)(OH)2, A New Phosphate Mineral From the Luna Albite Pegmatite, Dorio Commune, Lecco Province, Italy. 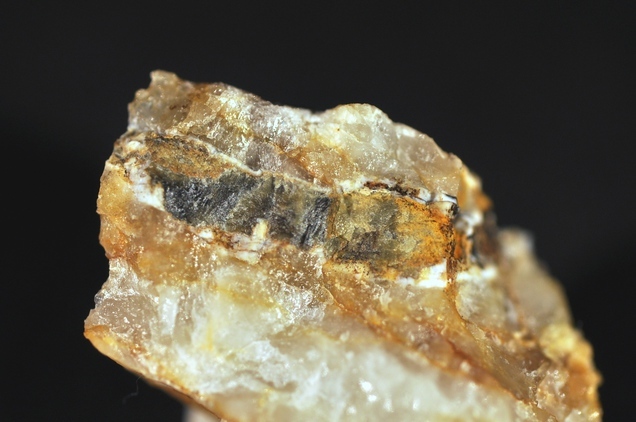 Canadian Mineralogist: 54: 1021-1032.